Summer holidays. Six weeks that, when you’re ten or eleven, seem to stretch out endlessly before you. The days are long, there’s no school and often not much to do, so you have to find ways to occupy yourself. For me, that often meant the cinema, or running around in the fields and building dens with my friends and my little brother. For Scotty Smalls (Tom Guiry), a recent transplant to a small town, the summer of 1962 means learning to play baseball with a group of new friends, growing up a bit and trying to get a precious baseball back from the monstrous dog that lives just next to the Sandlot where he and his friends practice. Coming-of-age cinema is perhaps the one kind of filmic storytelling to which we can all relate. While everyone’s specific experiences will be different, we all go through similar emotional journeys as we grow up. 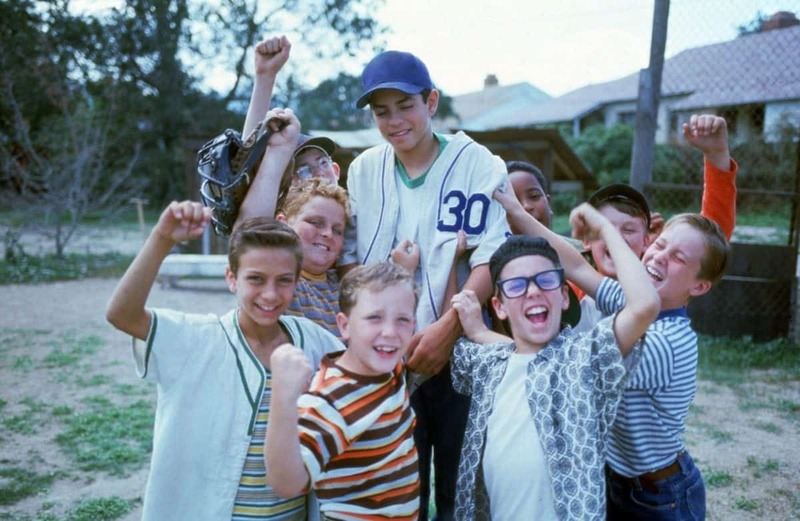 The Sandlot contains many of these experiences; learning to make friends, becoming part of a tight knit group, relating to the adults in our lives, experiencing our first attractions, and conquering our fears, whether they are well founded or not. These are the things The Sandlot captures well. It’s a great summer film. Watching it, you get right back to that feeling of the long summers of childhood, the sense of aimlessness and how that sometimes led to moments that, while small in retrospect, were still significant and felt bigger and more adventurous at the time. This is something we see through Scotty’s eyes throughout the film. As their friendship is founded, we get a real sense of the nine boys as a group, of the dynamics between them, and of their time together. We see the camaraderie and the good natured way they poke fun at each other on the sandlot, but also that their friendship extends far beyond there. Some of the best scenes about the bond between the kids aren’t during practice or games but when they are trying to find a way to get past Hercules, the big scary dog next door, to get a Babe Ruth signed baseball belonging to Scotty’s stepdad (Denis Leary) back. The way they make elaborate plans together and everyone has his part to play will feel familiar to a lot of viewers, it certainly did to me. Another especially evocative moment comes when the gang decide it’s too hot to play baseball for the day, so they go to the pool, largely to look at the lifeguard, Wendy Pfeffercorn (Marley Shelton, whose every appearance is soundtracked by The Drifters). The way that Squints (Chauncey Leopardi) fakes drowning so he can kiss Wendy when she gives him mouth to mouth is fairly gross in retrospect, but the film does capture very well that feeling of a first crush and its unattainability. Scotty is the new kid in town, having joined his school not long before summer break and not had the chance to make friends yet. Another thing the film does beautifully is capture the dynamic of the more popular kid, Benny (Mike Vitar), taking Scotty under his wing. Early on, Benny cuts the new kid a break and hits him a shot that is easy to catch. It would have been easy for him to join in with the rest of the gang, who start out mocking Scotty because he can’t play baseball. Benny comes across as a good kid who wants to include Scotty because he clearly wants to play baseball and Benny sees not just a chance to get a ninth man for the team, but to transfer his absolute love of the game. It’s an excellent depiction of the growth of friendship, no doubt helped by David Mickey Evans having Guiry and Vitar spend weeks rehearsing together before introducing the other boys, who believed those two had been long time friends. We see the first step, then watch Benny’s example permeate the group and everyone begin to accept Scotty, it’s heartwarming and feels true to life. The film is also good at seeing the world from a kid’s eye view. This comes especially strongly through the storyline involving Hercules the monstrous dog, depicted for much of the film as a paw and a pair of drooling jaws. This vision of Hercules is to at least some degree shown as if filtered through the kids’ minds. For a long time all we see of Hercules is the effect he has on the fence that divides the sandlot from the junkyard next door. The gang have conjured up images of Hercules influenced as much by the ideas that make kids fear monsters under the bed as they are by what Hercules is actually like. This is a well worn trope of kids movies (think of the old man in Home Alone), but it’s effective here and leads to some inventive and fun scenes as the boys contrive various schemes to get Scotty’s ball back. That ball is part of another of the film’s storylines, about Scotty adjusting to his step-dad, and vice versa. He takes the ball—his step-dad’s pride and joy—to impress his new friends, but when it goes over the fence he is in what the narration calls “the biggest pickle any of us had ever seen.” This story struck quite close to home, at about this age I also had a step-dad I struggled to adjust to, and while the way that plays out for Scotty is very different to my experiences, I recognise the anxieties and the emotions. As an adult, I can also see it from the other side, and appreciate parallels in Denis Leary’s performance to how my step-dad must have felt. It’s unfortunate that while, despite the relatively small screen time given to it, the step-dad story is well developed, Karen Allen is rather thanklessly (if perfectly) cast as Scotty’s mother. The thing that stops me entirely loving The Sandlot is probably the baseball. There’s a lot of baseball here, a lot of references that mean very little to me and a lot of time given over to the playing of a game I don’t connect to and, despite its prevalence in cinema, don’t actually know many of the rules of. It works well enough as a way to draw the gang together, but the sequences given over to it just don’t mean a lot to me. On the other hand, I entirely get why people who grew up with this film, and especially American audiences to whom baseball is almost certainly more important both culturally and personally, do love it. If I had seen this when I was 12 or 13, I can imagine having great affection for it now. 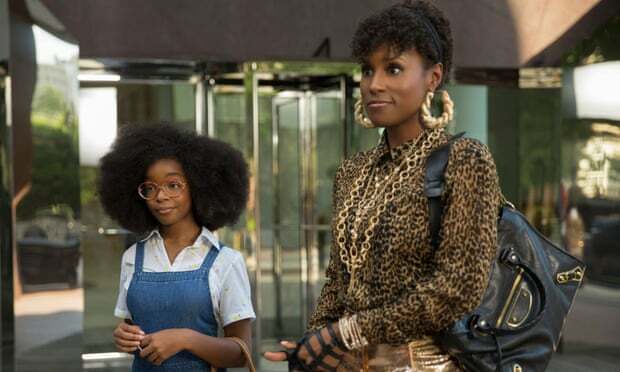 I’m not quite there, but what has been interesting is that as I’ve reflected on the film while writing this piece, it has grown in my estimation. On viewing it I felt a bit distant from it. It was a little too kid oriented for me as an adult, but as I considered how it works as a coming of age film, things fell into place. I’m not a great fan of narration, generally finding it spells out what good filmmaking can simply make us feel, but it does create a warm nostalgic distance I imagine is now felt doubly by the audience that grew up on the film. 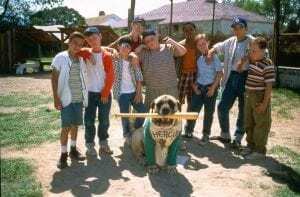 There is an innocence and idealism about The Sandlot. The kids face some challenges: a scary dog, difficult family dynamics, making friends, but ultimately their summer is all but idyllic. That comes through in the film, it has an authentic rose tint to it, the way we can be tempted to remember our own growing up. Even now I can feel myself warming to it more.